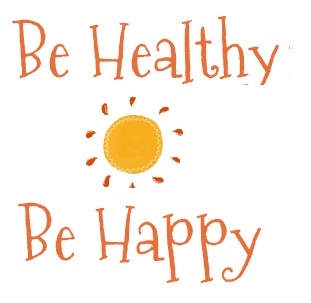 Living healthy is all about staying active, eating well and sleeping well. Everything else automatically falls into place. While most of us think that finding time to exercise is like the Holy Grail, it needn’t be! It only requires a mindset and a change of perspective to make it happen. I mean, how many of us will actually choose being sick over being healthy? And based on our choice (I am assuming we chose being healthy) would we care enough to set aside just 30 minutes a day? Yes, you heard right. Just 30 minutes a day can help you lose weight, stay healthy, feel more energetic and happy. Work in your garden. No garden? Start one or help a friend out and give her some “me” time. Win-win. Mow your lawn. No lawn? Help someone with one. Walk to your local market and browse around and perhaps finish your essential shopping at the same time. Crank up the music and bust some moves. Dance. Invite friends over or go solo! Turn tourist in your own city and see everything with new eyes. On foot. Enjoy watching TV? Why not kill two birds with one stone by doing squats, pushups, spot jogging or exercycling during breaks? Revamp your home. Freshen up a couple of rooms with a new coat of paint. While going to the store, park your car far away and walk to the store and back. Want to step it up by not taking your car? Great. Do it. Dribble in your backyard with kids. No kids? How about friends/neighbors? Traveling? Walk around the airport when you wait for your flight rather than sit in a chair. There! 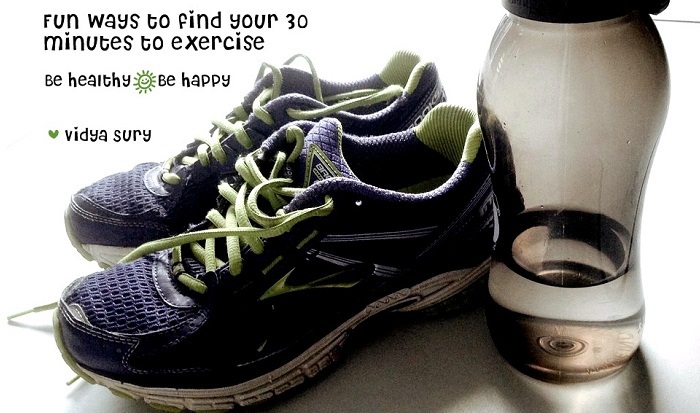 Super-easy ways to create and find your 30. Got tips to add? Would love to hear them! Very useful list, Vidya !!! Thanks for sharing !!! Quite an exhaustive list, my preferred option – to avoid the lift always, walking up or on level ground is easy and available all the time.